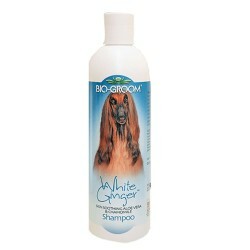 Product Information- Bio-Groom Super White Coat Brightning Shanpoo Tearless, coat-brightening Bio-Groom super white shampoo makes white coats sparkle without bleaching. Designed to enhance white and light-colored coats, the rich formula cleans thoroughly while adding luster and body to coats. Controls matting and leaves hair smooth, manageable and shiny. 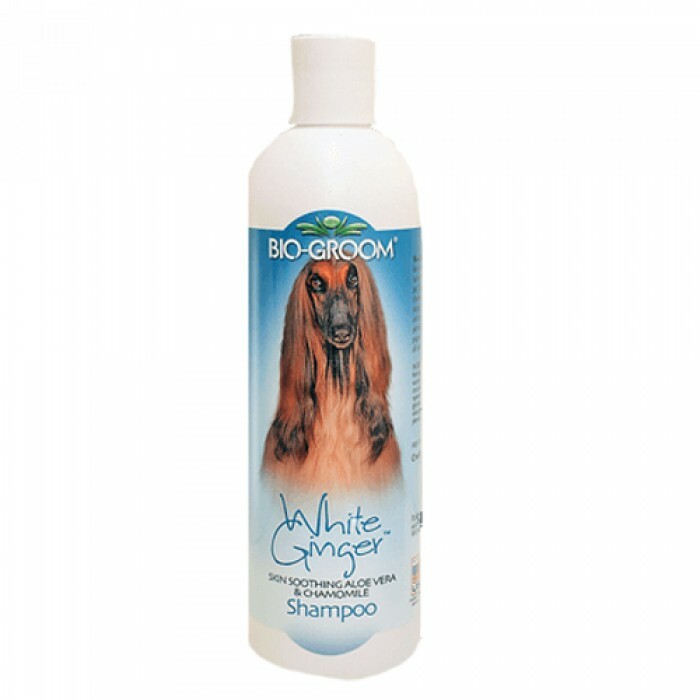 Bio-Groom super white shampoo is fortified with protein and leaves a fresh, clean scent. Dilutes 4-1Comes in a 1 gallon. Ingredients are Cleaners derived from coconut oil, biodegradable and regrowable source. Hydrolyzed protein, elegant floral fragrance.